There is sugar, spice, and everything nice in these cookies! 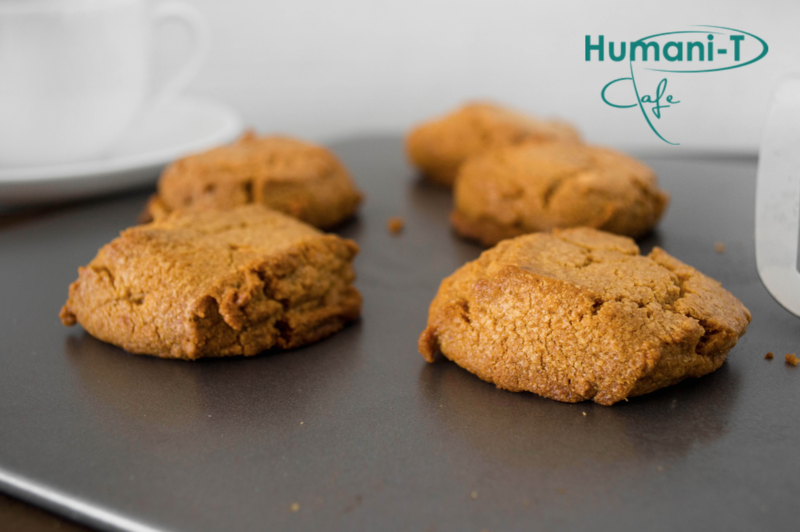 Check out these spiced ginger tea cookies, perfect right out of the oven. Enjoy them beside your favorite Humani-T Cafe tea for a midnight snack, or early morning indulgence! Preheat oven to 350 degrees Fahrenheit (175 degrees Celsius). Meanwhile, in a medium mixing bowl mix together: flour, dry ground Humani-T ginger tea, baking soda, ground cinnamon, cloves, allspice, and sea salt, and then set to the side. Next, in a second but large mixing bowl, beat an egg, then add in remaining ingredients and cream together. Once well incorporated, slowly add dry bowl of ingredients to the wet bowl of ingredients. Once mixed, begin forming cookies by rolling dough into uniform sized balls in the palms of your hands, placing the cookies 2 inches apart from one another on a non-stick cookie sheet. Press them down slightly on the tops. Bake cookies for about 10 minutes, and allow to cool before serving.